High concentration of glucose induces Staphylococcus aureus (S. aureus) aggregation, but the mechanism of this is still unclear. In this study, the aggregation of S. aureus strains was induced by high concentration of glucose (>7.8 mM), and which was dose- and time-dependent. In addition, the large amount of lactate acid produced during S. aureus aggregation, induced by glucose, resulted in decreased pH value. Lactic acid, the end product of glycolysis, could quickly induce S. aureus aggregation. Except for lactic acid, acetic acid and HCl also induced S. aureus aggregation. 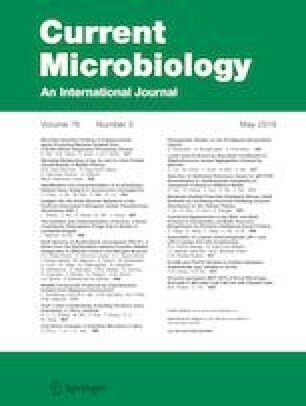 In addition, the aggregation of S. aureus strains induced by glucose or lactic acid was completely inhibited in Tris–HCl buffer (pH 7.5), and inhibition of glycolysis by 2-deoxyglucose significantly decreased S. aureus aggregation. The aggregation induced by glucose was dispersed by periodate and proteinase K. In summary, lactate acid produced by glycolysis contributed to S. aureus aggregation induced by high concentration of glucose. This study was supported by the New Xiangya Talent Project of the Third Xiangya Hospital of Central South University (Grant No. JY201713).